You probably know that long shadows are new design trend and they look great. Producing that kind of shadow is very time consuming, especially when you have to make them for several elements or text. 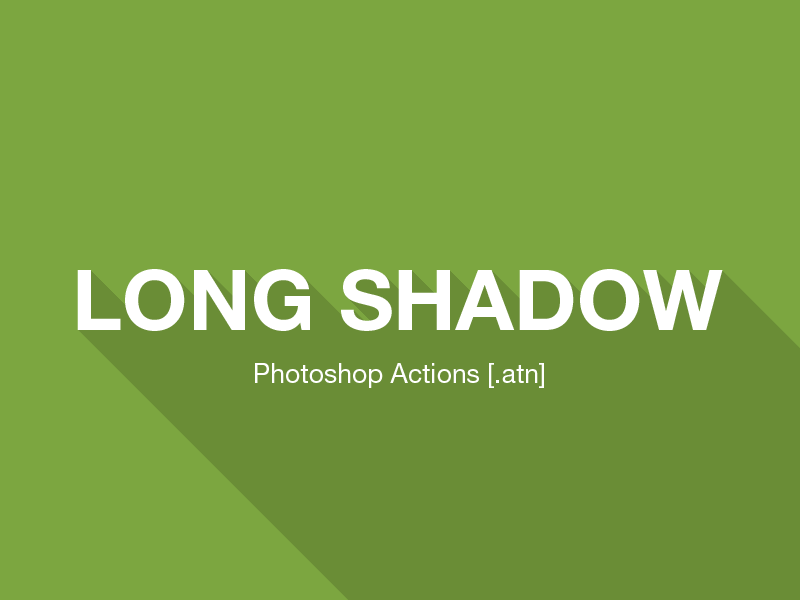 That’s why I created Long Shadow Generator Photoshop Action (atn) – to save you lots of time and to help you produce very high quality, always perfect shadows! This action works with rasterized layers, text and vectors. With several provided actions you will be able to produce variety of shadows. 10. Yay! You are done. Please Share this freebie if you like it. If you have any issues or suggestions, Please let me know in the comments.